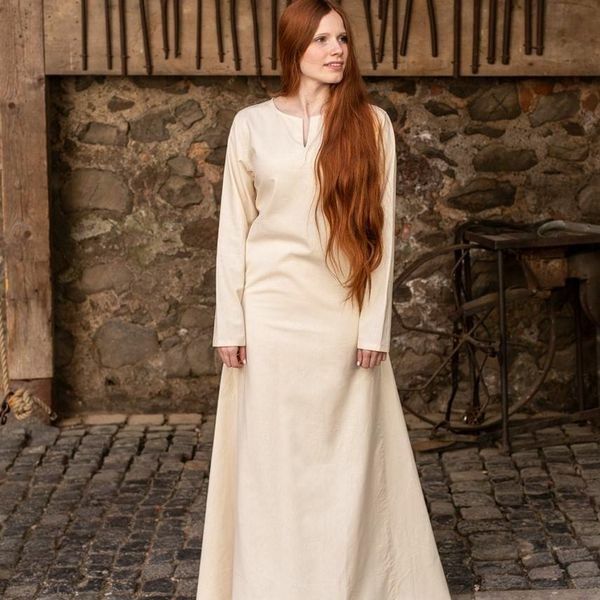 This beautiful dress is suitable for the (early) Middle Ages. 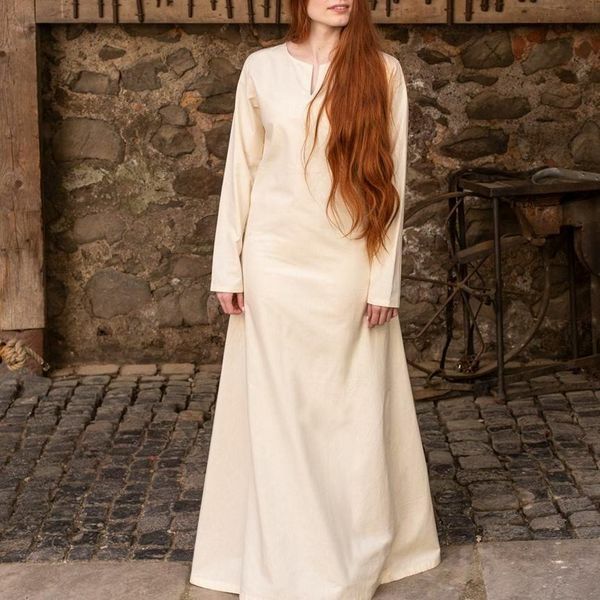 The dress falls to the floor, has long sleeves and a V-neck. Wonderful to combine with a hangeroc or ladies' overdress. 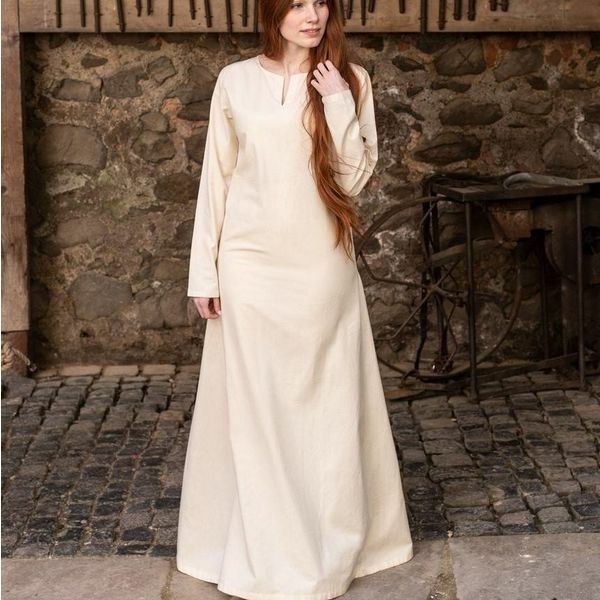 Also ideal for Cosplay or LARP. 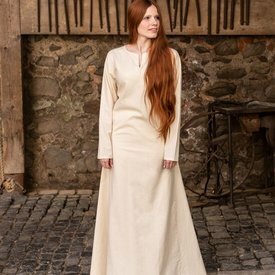 The dress can also be worn under a different color dress for extra warmth or for a beautiful effect.